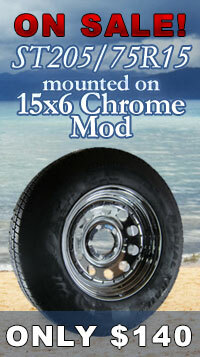 Trailer Tires, Bias Ply & Radial for, RV's, Campers, Fifth Wheels. 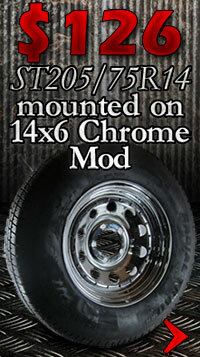 Free Shipping over $49 - Shadow Trailers, Cypress, CA. 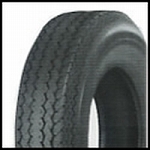 The size of the tire - As a percentage of the height of the section, and the section width or aspect ratio. 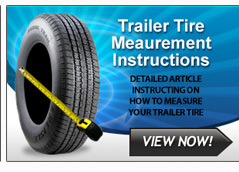 A very common problem is that customers are uncertain how to interpret the sizing and specifications on the side wall of the tire. 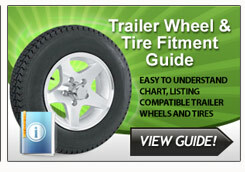 To make things even worse the industry uses three different systems for sizing on trailer tires which can confuse buyers. 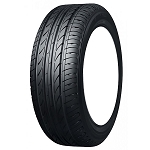 The Metric System - Although currently being phased out by tire manufacturers some still use a format similar to this: ST205 75D 14. 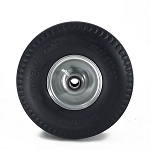 This indicates the type of application (ST - Special Trailer) the width of each section (205mm) the aspect ratio (75) the type of construction (D bias ply) and the diameter of each rim (15 inches). 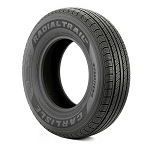 The Numeric System - Mostly used for smaller tires and trailers, this format basically indicates the width and diameter of the tire section. 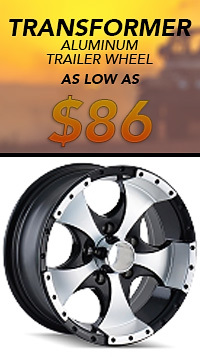 (4.80 x 8) Where 4.80 is the width and 8 is the diameter. 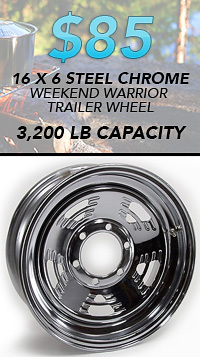 The selection for your rim is also an important key component of matching your own trailers equipment with your replacement wheels. 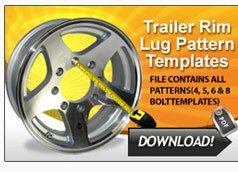 Look for the 'bolt circle' pattern and match it to the axle hub.